How does a girl from a small village in Herefordshire, England handle the stresses of releasing a record, rising to international fame, and singing at Buckingham Palace for the royal wedding of Prince William and Kate Middleton? Well, Ellie Goulding is a rock star – therefore, she may or may not have superpowers. But seriously, Ellie functions like any other passionate artist. She strives for perfection, she sings her little heart out, and she surprises us with every song. The lead single, “Anything Could Happen,” is reminiscent of the earlier hit, “Lights.” Ellie’s distinctive voice swoops and soars across the track, but she sounds far more mature. She continues to manipulate her voice on the record, especially on the following track, “Only You.” Ellie pulls a “Sleepyhead” in this song, sounding quite like Michael Angelakos of Passion Pit. 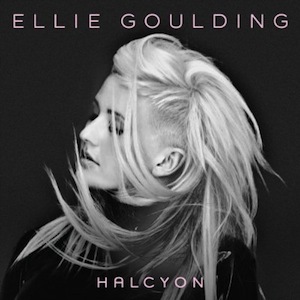 Ellie elects to showcase another cover on this album, but this time she strays from a classic like Elton John’s “Your Song” on Lights. Active Child’s “Holding On” is the winner here, and boy does she do this song justice. Can you say falsetto heaven? We can. And we will happily live there forever. So, Ellie, when are you and Pat Grossi collaborating? !